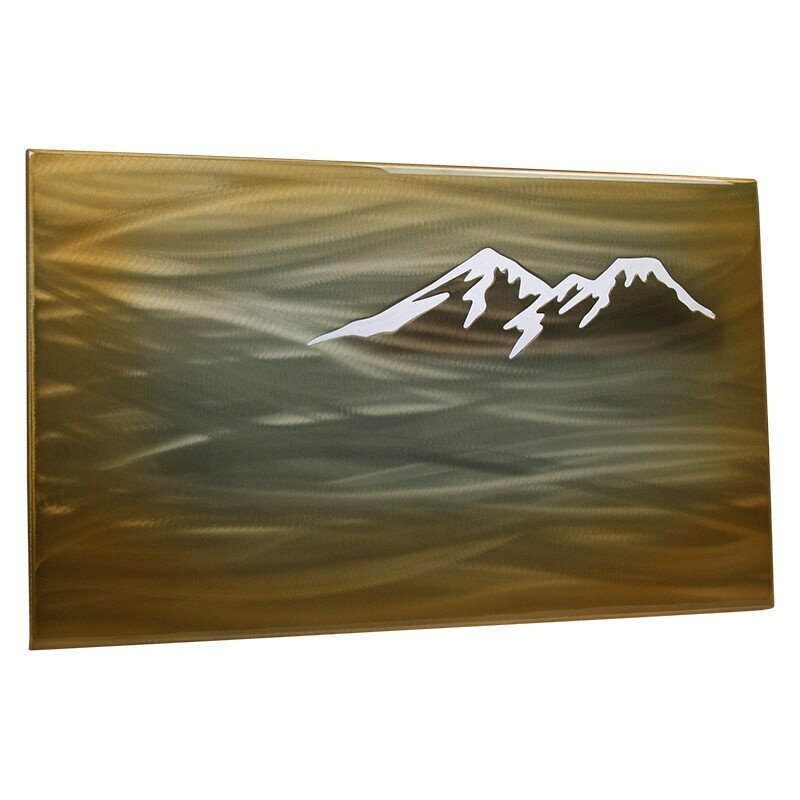 Mountains in the fog polished aluminum art panel. This piece is astonishing! It will take your breath away! This beautiful sign begins with a thick, flat piece of aluminum. 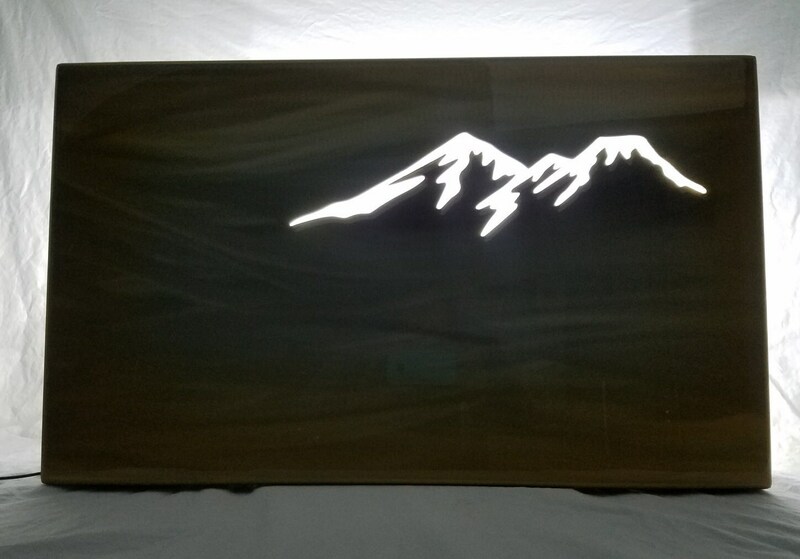 The mountain design is cut out of it. It's bent into a box shape 2" deep. Then the whole face of the sign is polished to add the essence of fog and wind. The light dances off the polished aluminum. It creates movement as you walk past. 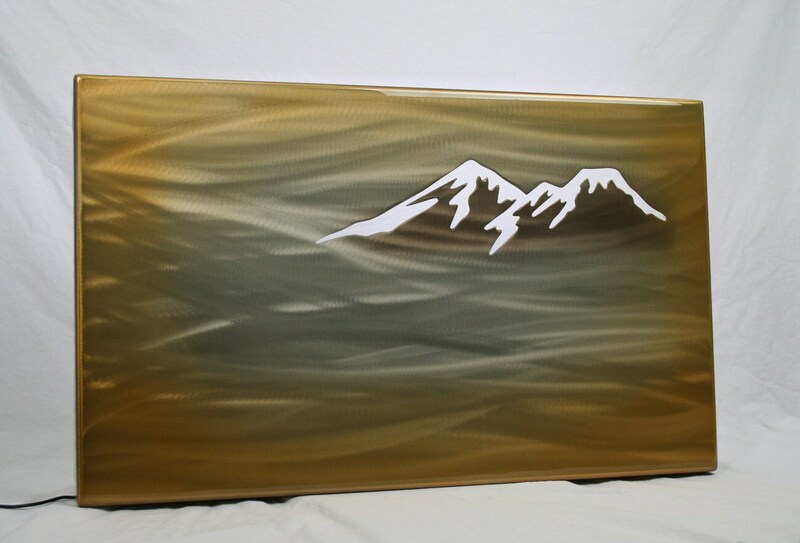 Visit our facebook page to see video of one of our aluminum art panels. 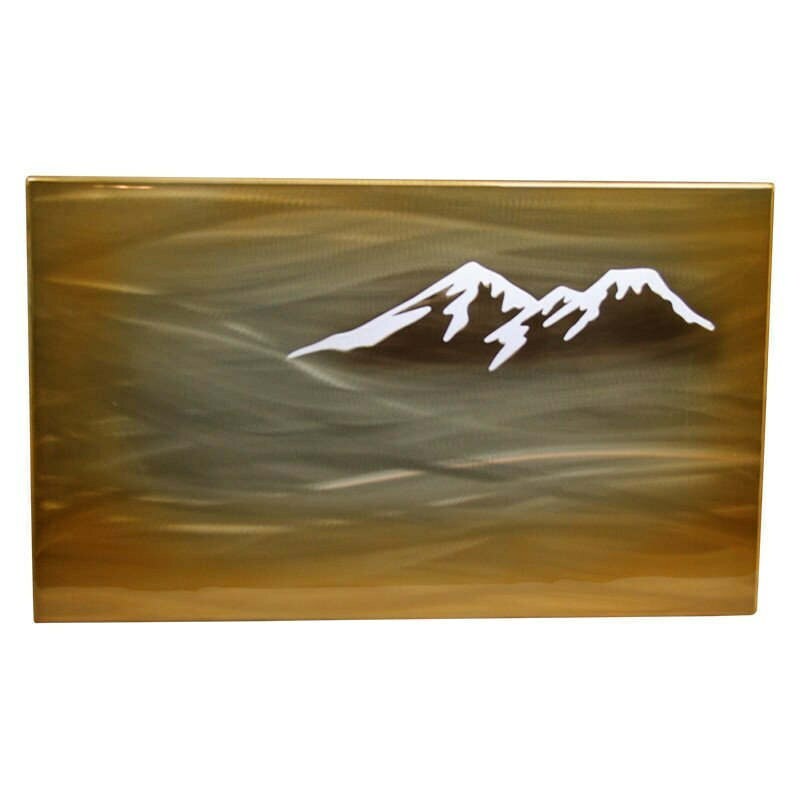 This piece is 30" wide and 18" tall. 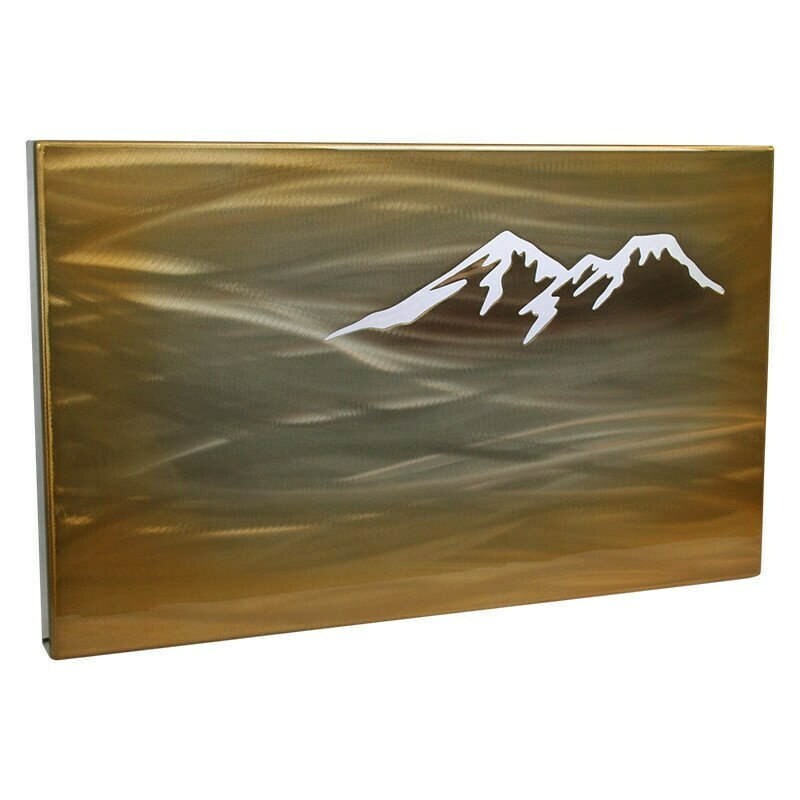 The mountain wall art is a sturdy, lifetime art piece.